Will You Be Part of History at the World Match Racing Tour? The classic tale of man versus the sea has played out on the planet for thousands of years. Now Newport and its denizens will once again witness one such contest during the penultimate leg of the World Match Racing Tour this May 30th to June 4th. What makes this international sailing race one to watch, and Newport the perfect vantage point from which to do so? Let’s take a closer look. What do you get when you combine elite sailors from around the globe, cutting-edge M32 high-performance catamarans, and a handful of truly breathtaking coastal destinations, including Fremantle, Perth Australia; Long Beach, California; Copenhagen, Denmark; and Newport, Rhode Island? A “perfect storm” in the form of the world’s premier professional sailing series: the World Match Racing Tour (WMRT). There are many reasons why the world’s most skilled sailors turn out for this prestigious event. Aside from the chance to show off their top-notch tactical skills in a heavily-watched competition, there’s that whole $200,000 in prize money thing. Not to mention that victory in Newport is all that stands between competitors and July’s World Finals in Marstrand, Sweden where the victor will be crowned and awarded the sought-after $1,000,000 tour bonus. Why Newport? Perhaps event organizers put it best in declaring, "There is probably no place in the world with a sailboat racing history like Newport, Rhode Island and it is with great pride that we welcome the American sailing hot spot to the WMRT 2016." And while the America’s Cup may have departed Newport following Australia’s landmark 1983 win, it left behind a rich legacy. In fact, Newport continues to comprise a vibrant international sailing community, having just played host to the 2015 Volvo Ocean Race and already gearing up for a repeat performance in 2018. After all, it’s not for nothing that Rhode Island is often called the Ocean State. 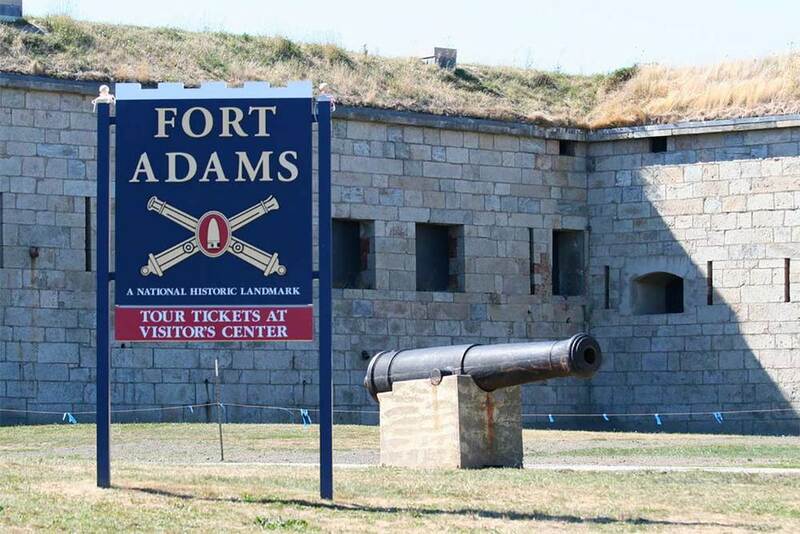 You might be prepared to fork over big bucks in exchange for the chance to see sailing history in the making, but the event -- held at historic Fort Adams, home to the country’s largest coastal fortification -- is free and open to the public. It even features live, onshore narration so onlookers can easily keep up with all of the amazing action. Whether you’re a lifelong sailing aficionado or total nautical novice, a visit to Newport during the WMRT promises plenty of thrills. For a beautiful balance of exhilaration and relaxation, we invite you to book a stay at The Chanler -- the perfect port for a glam getaway.